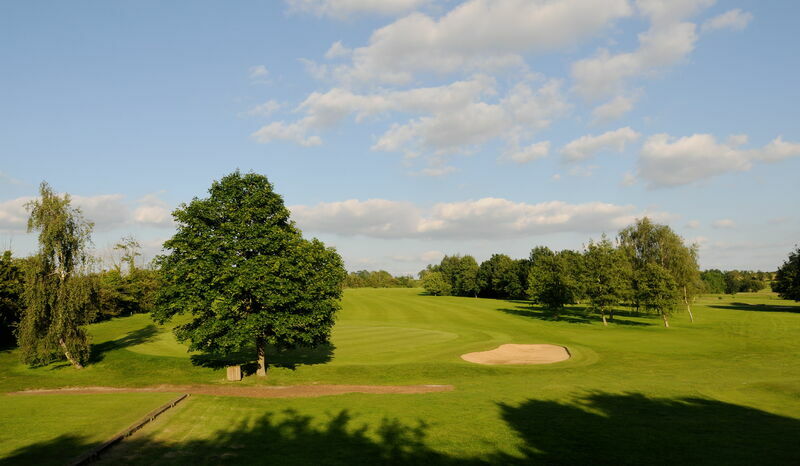 Another long par 5 played as a sweeping dogleg from right to left around an established copse of trees. Two good shots are required to leave a tricky approach to a downhill green. Leaving an uphill putt is your best chance of making a score, anything short or to the side needs plenty of care.